I am not a Malayali, my origin is not Kerala, I am not sure if Mahabali comes to Chennai!!! Every state in India has its special festivity and fantastic histories behind it. Festivals bind us together and brings happiness around. :) Do I need any better reason? Chop the jack fruit and puree it into a fine paste. 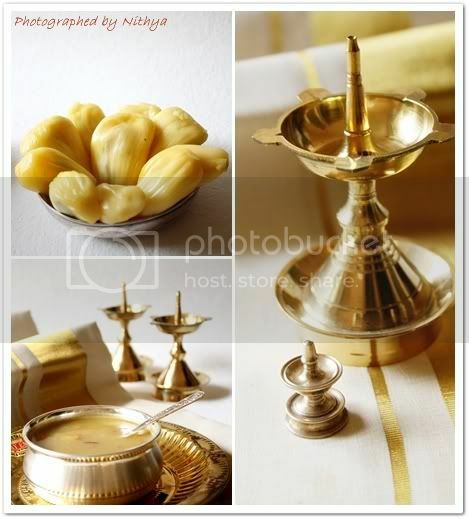 In a pan take a tsp of ghee and pour in the jack fruit paste along with just a little water if the puree is too thick. Allow this to cook on medium flame for around ten minutes. In a vessel, boil the jaggery along with 1/4 cup of water till it melts. Once done filter it to remove impurities. 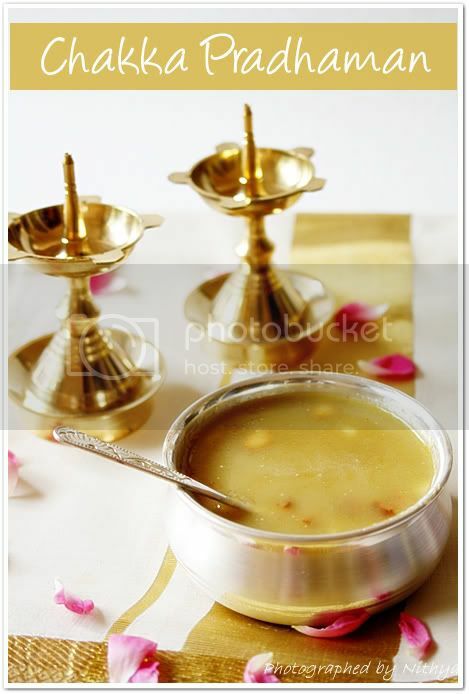 Transfer the jaggery syrup to the cooked jack fruit pulp and let it all boil on medium flame for ten minutes. Now simmer the stove and add the coconut milk to it and whisk well to blend everything and switch off the flame. Do not let it boil after the coconut milk is added, it will start separating. Take the pradhaman off the fire and add the cardamom powder. Fry cashews in ghee until golden brown and also fry the coconut pieces separately and add them all to the pradhaman as well. Happu Onam to you too !! awesome pictures ! Happy Onam to you. You don't need to Malayali to celebrate onam. Mahabali comes to chennai also if you welcome with full heart. He is nice guy according what i heard from my grandma. Chakka pradhaman looks wonderful. I love the clicks. Very traditional and authentic recipe for this special day. Best wishes. Absolutely amazing pictures and its sooo traditional and fantastic! Super super! 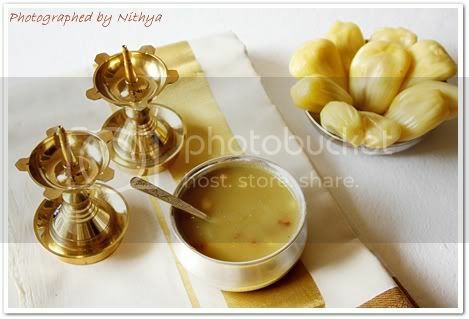 Happy Onam dear, gr8 recipe n nice click. Happy Onam to you too!! Happy Onam..looks so divine,love the way you presented. Happy Onam Nithya! !Oh that brings back all nostalgic memories...chakka pradhaman looks great. Its been a long time since I had this.Very tasty!! 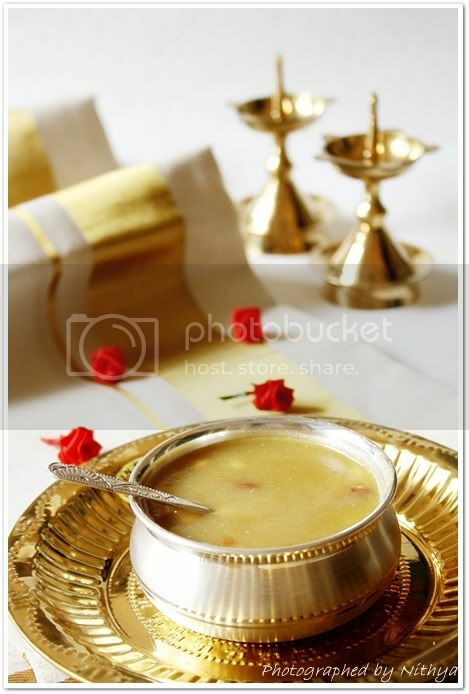 Happy Onam dear.. Jakfruit sweet kheer looks so delicious..Book marked it dear. Happy onam to u too....Prathaman looks so yumm! Simply awesome pictures and recipe.Im inviting myself over to ur place for some of this..
Nice to celebrate all festivals. 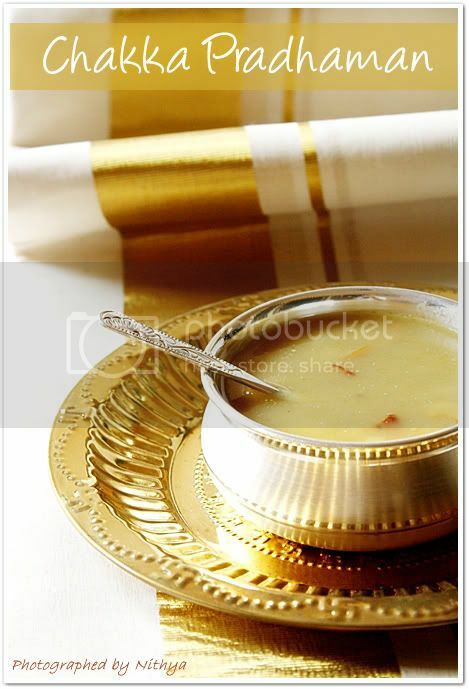 This is one of my favorite payasam . lovely payasam and awesome pics as usually..
Lovely writing. Yes, we are INDIANS first. And this sweet is new to me. chkka pradhaman looks awesome! loved the last picture very much...! ullam kollaikoluthe un samayalaiveda photo present cheitha alagu. Hi! Nithya this is Karthika Advocate (Jaya TV Kannadi). Your Website creativity is awesome. I really wanted to taste the Malpua. Your photographs are realistic as I liked to pick up the dough made Krishna. Nice to meet you. Keep in touch. Congratulations for making it to the 30 best recipes of 2010. Onam sadya won't be complete without this pradhaman. It's been so many years since I had this, if I happen to get hold of frozen jack fruit I'll try this.